The term Scandivania usually refers to Norway, Denmark and Sweden. On the other hand, Nordic countries refer to Finland, Iceland, all Scandinavian countries and their associated territories. These countries are known for their snow-capped mountains, breathtaking aurora borealis and incredible scenery. 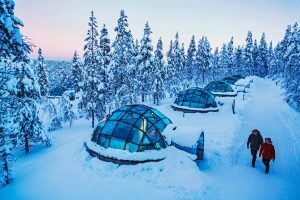 If you’re interested in travelling to the Nordic countries, here are highlights you don’t want to miss! Norway is one of the best places to view the northern lights, also known as aurora borealis. 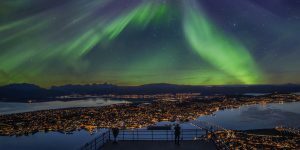 If you want to catch these stunning lights in action, visit Tromsø, the largest city in Northern Norway. The best time to view these northern lights is between September and April. Aside from that, Tromsø is also home to the Polar Museum, the Polaria Centre, whale spotting and more. Visit Tromsø to begin your arctic adventure! Denmark is one of the happiest countries in the world, dominating the World Happiness Report each year. That’s not surprising with their low crime rate, high-quality education and healthcare. Feel the happiness at Tivoli Gardens in Copenhagen. 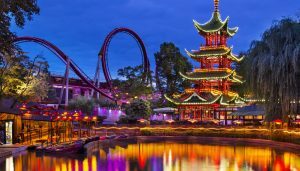 The second-oldest amusement park in the world, it’s also the most-visited amusement park in Scandinavia. Enjoy one of the exhilarating rides or delight in one of the many food stalls available. In addition, you can relax in the garden and watch exciting performances too! The iconic colours of the Swedish flag have made themselves a home in many countries through the furniture retailer, IKEA. Besides that, the Swedes are also known for their medieval architecture, fashion district, world-class museums and more. If you’re keen on exploring Sweden, Stockholm is a good place to start. Stockholm is a truly unique city consisting of 14 islands and over 50 bridges interconnecting them. Embrace the city’s old-time charm, explore the beautiful waterfronts and indulge in their diverse nightlife! When people think of Iceland, they think snowy mountains, crystalline seas, glaciers – and they’re not wrong. Iceland is a scenic country, complete with snowy mountains, vast seas, and cool air. In other words, it’s the best place for a tranquil getaway up in the North. 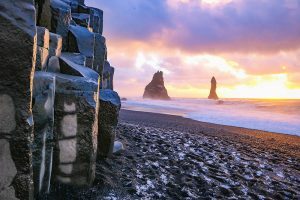 If you’re looking for a change of scenery, Reynisfjara Black Sand Beach is an attraction you must not miss. The black sand is a result of lava flowing into the ocean and being instantly cooled by the water. In addition, this unique beach offers towering basalt stacks and stunning panoramic views of the sea for picture-perfect moments. According to the Global Peace Index, Finland is the safest country in the world – for 11 consecutive years. For many, Finland’s Lapland is synonymous with Christmas and Santa Claus. Experience the beautiful aurora borealis during the winter months and revel in the midnight sun during summer, where there’s nearly 24 hours of sunlight! 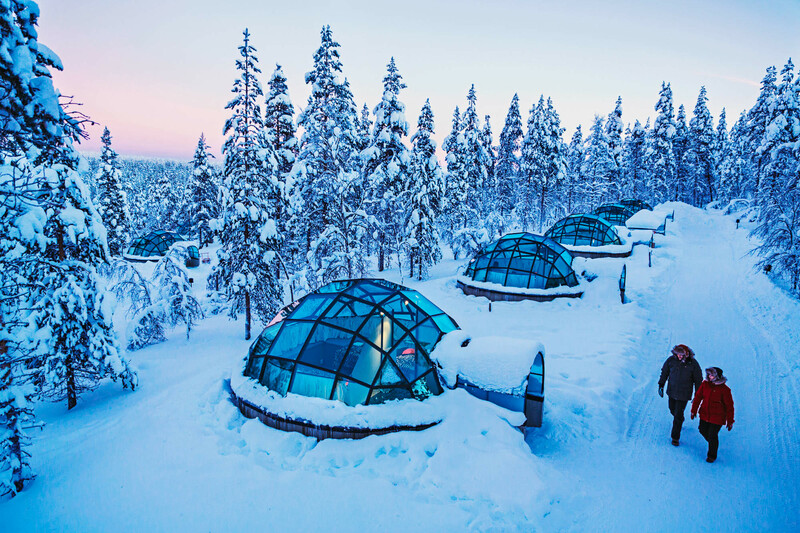 For a luxurious stay, splurge by staying in an opulent glass igloo, or choose to huddle up in a traditional snow igloo. It will definitely be an experience like no other.